For a long time, skipping meals was considered a bad way to lose weight. Research showed that skipping meals can slow metabolism, which is counter-productive to weight loss. 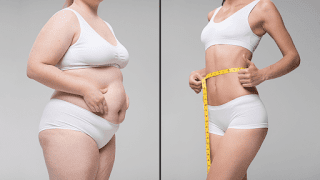 Despite this, intermittent fasting is a form of dieting that is slowly gaining popularity, especially among girls, and seems to be helping women shed those stubborn, unsightly pounds. It can be harder for girls to lose weight than guys. A promising diet that works and makes it easier to lose weight is something girls dream of. the dieter restricts their calorie intake for two or more days each week. This doesn’t necessarily mean that they don’t eat at all on the restrictive days; they simply cap their caloric intake to around 500 or 600 calories. Research has yet to prove why this type of fasting seems to work, but results have shown that, on average, intermittent fasting weight loss is greater than weight loss from diets that restrict calories every day of the week . The simplicity of fasting is also appealing because people don’t have to try as hard to eat right. This intermittent fasting plan is where the dieter doesn’t eat for 16 hours per day, then eats during a window of 8 hours per day. The easiest way to do this is to skip breakfast and not eat in the evenings, but this is only a suggestion. The window can be set at any time that is comfortable for the dieter. For older women, it is suggested to change this method to 15/9 or even 14/10 because short fasting spans seem to be better for young women’s metabolism. The dieter can drink beverages during the fasting time, as long as they don’t have any calories. This method involves eating a normal amount of calories for five days a week and consuming a restricted amount of calories two days a week. For girls, it is recommended to keep their calorie cap at 500 during restrictive days. The days shouldn’t be back to back; they should be spaced out (for example, Monday and Thursday). This method can be one of the more difficult methods. It involves picking two days per week to stop eating for an entire 24-hour window. The eat-stop-eat method takes serious self-discipline. Many people end up falling short of the 24-hour window. Non-caloric beverages are allowed during the 24 hours, so this can make it easier to follow through. The warrior method is where the dieter only eats a very small amount of healthy, low-calorie foods during the day (fruits and vegetables), then eats a very large meal at night. They can only eat one large meal. This method can be slightly difficult to follow, but not as difficult as the eat-stop-eat method. Intermittent fasting weight loss can occur rapidly when a woman first begins dieting. This is especially true for females who are extremely overweight and have at least 30 pounds to lose. The reason that this works so well is simple: girls are eating fewer calories when on an intermittent fasting plan. The key to ensuring that the plan works is to not overeat (or under-eat) on days or windows of regular eating. In essence, the fasting plans work just like a diet where you cut calories each day. The biggest difference with intermittent fasting plans is that these plans make it easier to cut the calories (even if they can be hard to follow through, such as in the eat-stop-eat method). The dieter doesn’t have to count calories, figure out which food is good and which is bad, or figure out anything for that matter. They simply eat regularly and then don’t eat. Simplicity is what makes this diet method effective.